The JFK Assassination: Half a Century after Dallas, Why Are We Still So Obsessed with It? “Mr. President, you can’t say Dallas doesn’t love you.” Those fateful words were uttered by the wife of Texas Governor John Connelly just before gunfire rang out in Dealey Plaza and cut down President John F. Kennedy as he rode in an open motorcade through crowds of cheering Texans on Nov. 22, 1963. “My God, they’re going to kill us all!” her husband screamed as he was hit by one of the bullets. “Jack! Jack! They’ve killed my husband,” Jacqueline Kennedy cried out from the back seat of the limo. “I love you, Jack!” Seconds later, the First Lady–her pink outfit covered in blood–crawled onto the back of the car in a futile effort to retrieve parts of her husband’s skull as the motorcade sped to Parkland Hospital, where the President was declared dead. More than a half century later, those haunting words and images from Dallas continue to fascinate Americans like no other tragedy in our country’s history, more than even other dark days like Pearl Harbor or 9/11, when thousands of people died instead of just one man. So why is it that people (many of whom weren’t even alive in 1963) still care so passionately about the JFK assassination? I’m a journalist and a mystery writer, and I’ve always believed it’s because the assassination of John F. Kennedy is the greatest mystery story–the biggest crime whodunit–of all time. I was an editor at NBC News and helped plan the network’s 50th anniversary coverage this past November. At meeting after meeting, I was the only person in the room old enough to actually remember the events of that terrible day in Dallas. And yet I discovered that all of the young people in these meetings were as fascinated with the JFK story as I was. I thought I’d have to convince them why we should do major news coverage of the 50th anniversary. Instead, they wanted more coverage than I could have ever anticipated. So did our TV viewers and readers of the website. 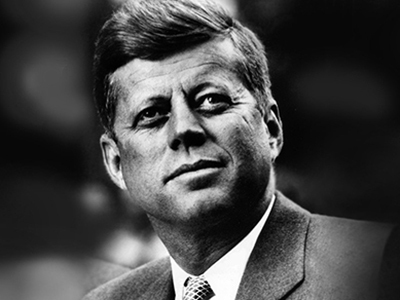 NBCNews.com produced an immensely popular interactive graphic which allowed people on the website to explore videos of both the assassination and the life and times of JFK and his presidency. We also did a special two-hour program in which Tom Brokaw interviewed 50 different people about the JFK assassination, including Clinton and Tom Hanks as well as everyday people, who talked about how history was irrevocably changed by those six seconds of gunfire in Dallas. And we produced a five-part investigative series spelling out the various conspiracy theories put forward over the years to try to answer the question: Who really killed JFK? The conspiracy angle is, of course, what made the Kennedy assassination story so popular with the NBC audience–and what continues to make it so compelling for all of us. Was there really a second gunman? Did the fatal shot come from the grassy knoll? Was Oswald just a patsy? Did the Warren Commission cover up the truth about the assassination? A vast majority of the American public continues to believe that a conspiracy was responsible for the death of the young, handsome, charismatic President. Over the years, that number of people who blame a conspiracy has soared to as high as 81 per cent. And, as recently as the 50th anniversary last year, only 30 percent of Americans believed the official government version that Oswald was the lone assassin, according to a Gallup poll. Asked who they thought was really behind the JFK shooting, the most frequent answers were the Mafia or the U.S. government itself. My own fascination with these unanswered questions is the reason I decided to write a mystery suspense novel called The Kennedy Connection. And, because my book is fiction, it gave me the opportunity to go even further in looking at other people besides Oswald as JFK’s assassin. In real life, my theory is much simpler: What happened in Dallas was a combination of underworld, right-wing elements and other political opponents who cold-bloodedly murdered the President of the United States in broad daylight in front of thousands of people—and somehow got away with it. Writing this novel brought back so many emotions and memories for me. 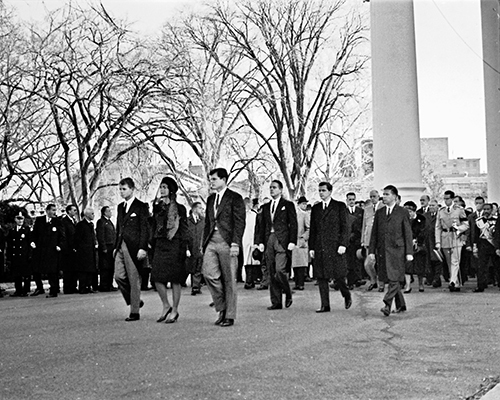 Nov. 22, 1963 is a moment that will always be frozen in time for members of my generation who came of age in the ’60s. We all remember exactly where we were when we heard the news of the JFK assassination. (I was a freshman at Ohio University walking across campus to a class when a friend heard the first bulletin.) We grew up idolizing President Kennedy and believing that politics could be a noble goal and thinking we could make the world a better place. Everything changed after Dallas. Of course now, a half century later, there are fewer and fewer Americans with those type of first-person recollections. Recent census data shows that over two-third of America’s current population wasn’t even alive on that day in 1963—and more than that were too young to remember anything. But the fascination is still there for them, too. This young, glamorous, charming leader-who died young and at the height of his power—somehow remains frozen in time for all of us. Like the rock stars who died young in the ’60s—Morrison, Hendrix, Joplin—we never got to see him grow old or sick or feeble. We remain fascinated by the haunting question of “What if?” What if Kennedy had lived? Would there have been a Vietnam war? College protests and violence? Watergate? We’ll never know the answers to these questions, but that promise, the untapped potential of John F. Kennedy, is what will always set him apart from other presidents and historical figures who actually accomplished much more. The sad truth is that we will probably never know the truth about the assassination. Too much time has passed, too many witnesses are dead, too much evidence has been lost. The murder of JFK is the ultimate cold case that would take a miracle to truly solve at this point. 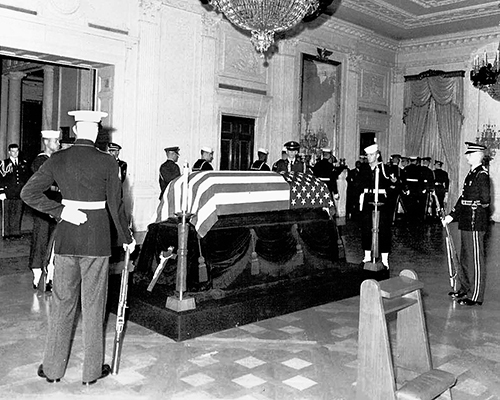 There is a theory (a viable one, I believe) that the reason we want to prove that Kennedy was killed by an elaborate conspiracy is that no one wants to accept the possibility that a lone misfit like Lee Harvey Oswald could single-handedly end the life of a great man and change history so dramatically in just a few seconds. And so all of us—the ones who were there in 1963, and the ones who weren’t—continue to search desperately for answers and make some sort of sense about how the unthinkable could have happened on that long-ago day in Dallas. Half a century after the assassination of President John F. Kennedy, someone is killing people on the streets of New York City and leaving behind a bizarre calling card of that tragic day in Dallas.In this bold and entertaining thriller from a true media insider, discredited newspaper reporter Gil Malloy breaks the story of the link between seemingly unconnected murders—a Kennedy half dollar coin found at each of the crime scenes. At the same time, a man emerges who claims to be the secret son of Lee Harvey Oswald and says he has new evidence that Oswald was innocent of the JFK killing. Malloy, who has fallen from grace at the New York Daily News and sees this as an opportunity to redeem himself as an ace reporter, is certain there is a connection between the Oswald revelations and the NYC murders, but first he has to get someone to believe him. Two tales of suspense fuse into an edge-of-your-seat thriller as Malloy races to stop the killer—before it’s too late. R.G. 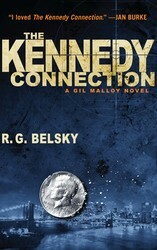 Belsky is a New York City journalist and author. He was the managing editor of the New York Daily News; metropolitan editor of the New York Post; the news editor for Star magazine; and a managing editor at NBC News. Share The JFK Assassination: Half a Century after Dallas, Why Are We Still So Obsessed with It?